New waterproof roof prism design binoculars with super high reflective prism coatings and multi coated water repellent optics for brilliant sharp images. Twist up eyecups and ultra close focussing. Five models are available including 8x25 and 10x25 compacts, as well as 8x32, 8x42 and 10x42. 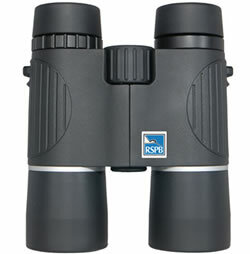 Support the RSBP by buying RSPB binoculars!